Book Your Sip and Shop Party - You bring your friends, we bring the wine! Have you ever wished you could shop after work and have the store all to yourself? Your wish is granted! 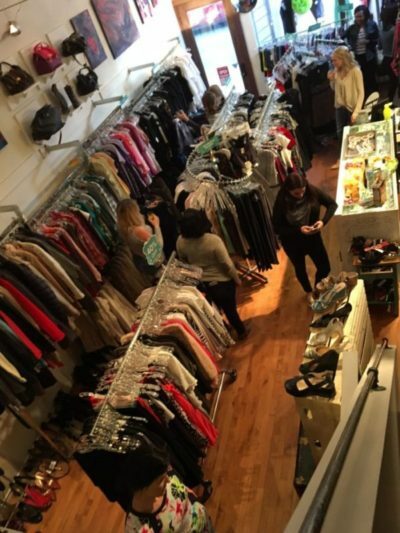 Book either boutique and bring your pals, colleagues, or group members and SHOP TILL YOU DROP! It’s FREE to book, PLUS as the host/hostess, you receive 15% off your purchase! Book your party for any evening after 6:00 p.m. (some weekend options) with a minimum of 8 guests. “We really loved the Sip n’ Shop experience…it was a perfect night to get out, have some fun, and shop and catch up. It felt so special to have the shop to ourselves, so we could sip on some bubbly, snack on some yummy treats, and giggle the night away.